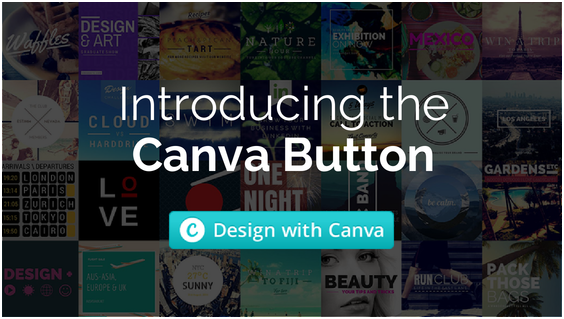 Canva is a powerful online design tool enabling non-designers and professional designers to easily create customized images to use. TabSite has partnered with Canva as a early beta release partner to integrate the Canva Designer into the manager area of each App. Instead of just offering an ‘Upload’ button and leaving users on their own, the Canva Button enables users to easily create graphics without leaving their app setup. 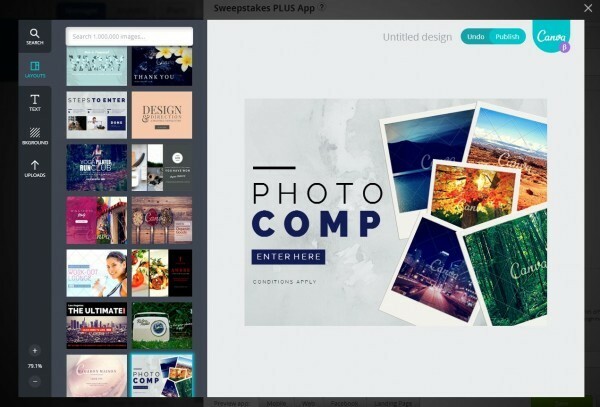 Within TabSite users will be able to create custom images for their contests, sweepstakes, and more, starting with pre-built templates designed by Canva for TabSite users. Canva lets users create their own graphics via a simple drag and drop process of several elements, using a database of professional stock images, fonts and design layouts. Here’s the TabSite integration available in each app. The key is that Canva has pre-built a series of templates (and is adding more all the time) just for specific uses like a TabSite Sweepstakes. Clicking the Canva button launches the Canva designer right in TabSite so the user experience is great. Users never leave the page. 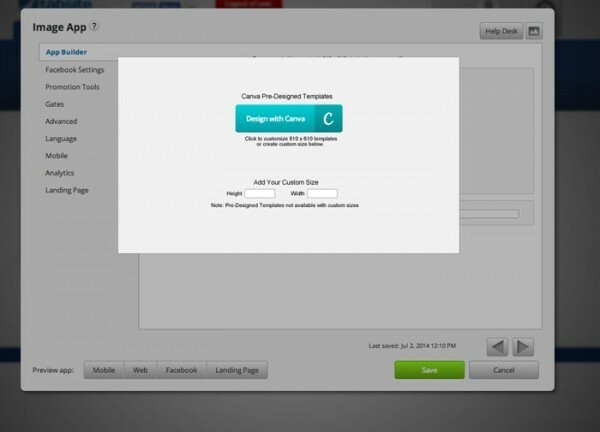 They simply customize an image and save and that image is integrated into the location in TabSite they had selected. Canva is adding more new templates that fit the contest default image size of 810 x 610 nearly daily! Simply use your Canva account and all items are stored there for future use. 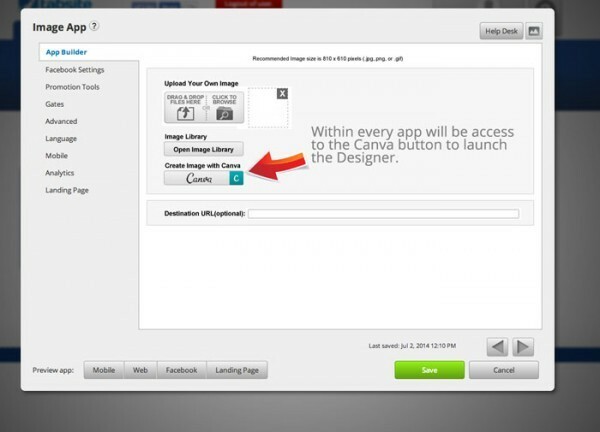 As well, when you complete your Canva image in TabSite, the image is automatically populated to the specific image area in TabSite and added to your image library! So what are you waiting for? Design away!